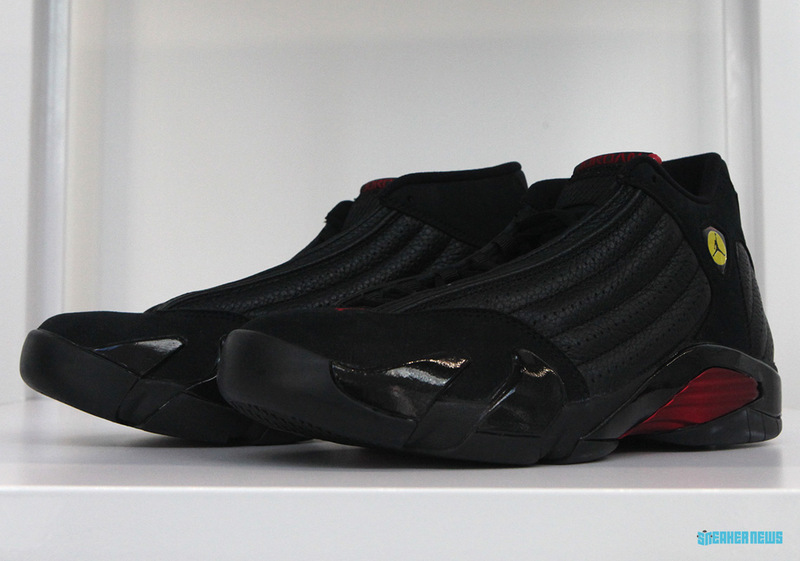 Serving as one of the first sneakers in history to have an official nickname devoid of any color affiliation, the Air Jordan 14 “Last Shot” helps tell the story of one of the most significant moments in NBA history. Securing MJ his sixth NBA championship with the Bulls, this iconic moment was both the final Bull’s Field Goal attempt of the game, and Jordan’s last in his Chicago career. Chasing one with 10 seconds on the clock, Jordan shook off Bryon Russell – following a steal of Karl Malone on the defensive end – and put up a 20-foot jumper from the top of key. Hitting nothing but net and giving the Bulls the lead with 5.2 seconds to go, this moment will live forever in NBA lure. In honor of this awe-inspiring moment in Jordan’s legacy, the Jumpman will be releasing the 14 once again as part of the upcoming “Art Of A Champion” collection on June 14th. Also hitting shelves later this year on June 9th is an Air Jordan 32 Low “Last Shot”. While it will release separate from the “Art Of A Champion” collection, it still tells the story of the shot. Grab a look at both “Last Shot” selections below and stay tuned for more updates on this esteemed collection.